– included in the “Babel on Demand” collection, an artistic and editorial project by Étienne Hervy and Émilie Lamy for the 23rd International Graphic Design Festival of Chaumont. Printed and distributed by blurb. Amidst the collateral damage of innovations, the barbarity of capital punishment also exists in some countries. 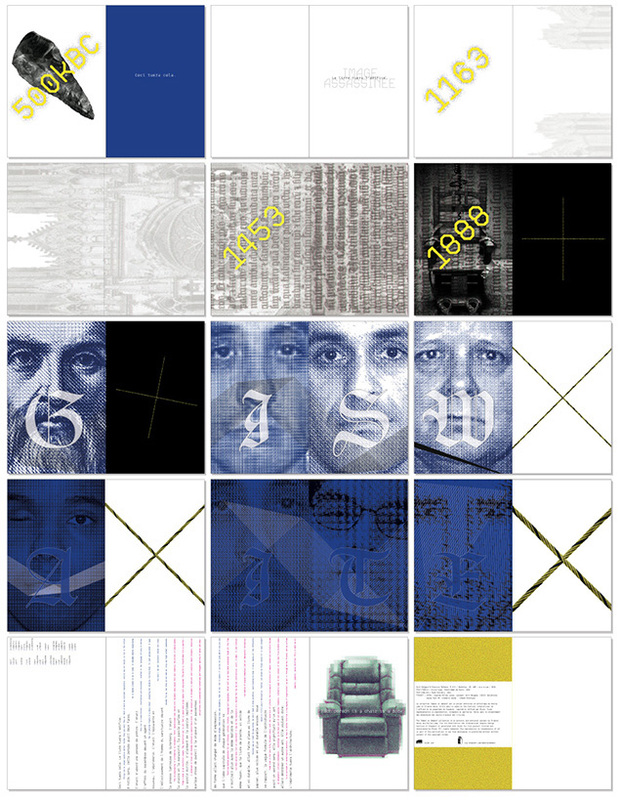 Ceci tuera cela.’s “death row sentence” aims to reveal conceptual tensions between faces, letters, words, sentences, languages, pages, pixels, culture, oppression, executions and infamy. When death is by design, how must we design for new ideals?